Leading Law Firm Pass Lexcel 6 Audit With Flying Colors. 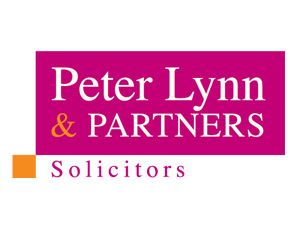 One of Swansea’s largest law firms, Peter Lynn & Partners, have recently passed the Law Society’s Quality Audit, Lexcel 6, with flying colours. The stringent, three-day audit evaluated all seven of the firm’s offices including a cross section of solicitors and support staff as well as key aspects of the business such as Client Care. Lexcel, the Legal Quality Mark of the Law Society, is updated every 4 years and to pass with such distinction is a reflection of the firm and it’s team. Peter Lynn, Senior Partner commented “The Lexcel audit is the kitemark for our sector so to pass in this manner is a reflection of the skill, dedication and hardwork put in by every member of the team”. The successful result comes at the end of a memorable period for the Swansea based law firm. Not only did they open a new office in Cardiff but they also acquired historic Swansea legal practice Ivor, Evans And Benjamin as well as expanding the team to over 30 lawyers and 60 support staff.